Praia da Rocha is the Algarve’s most ‘touristy’ resort, but in a lot of ways this works in its favour! The choice of bars and restaurants in which to spend your evening is huge, and the sheer number of happy holidaymakers gives the resort an upbeat party vibe that is hard to resist. The key place to spend your nights is the Avenida Tomás Cabreira, a long avenue near the beach lined with bars, clubs and places to eat. Many bars and hotels have live music nights, and a lot of clubs stay open until the early hours of the morning. For a relaxing holiday immersed in local culture, Lagos is the top choice. The old town is steeped in character, featuring quaint cobbled streets and the beautiful Church of Saint Anthony in the main square, where visitors who venture past the simple exterior are amazed by the intricate decoration inside. Praça Gil Eanis, one of the squares in the town, is where you can see great street entertainment in the evenings, and the old town has many locally-run restaurants where you can taste real Portuguese cuisine. The more modern marina specialises in fresh seafood restaurants, and you can enjoy al fresco dining with a great view of the yachts moored in the marina. 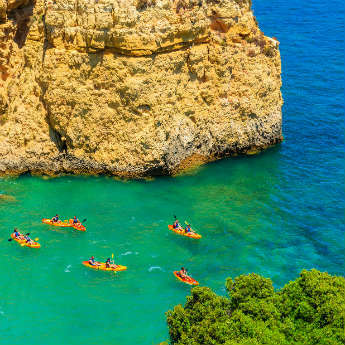 Albufeira is a town of contrasts, which allows for an exciting and varied holiday! 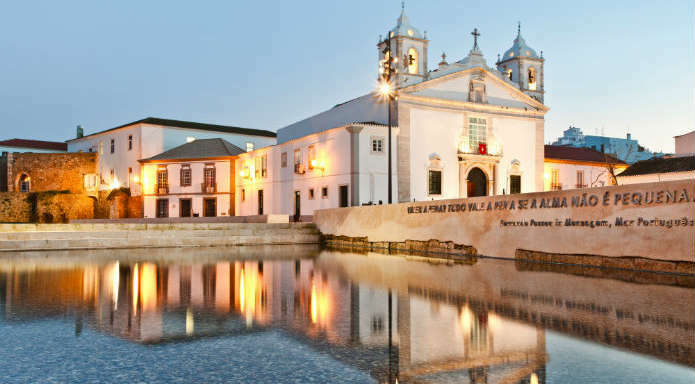 The historic old town has narrow, winding streets, Roman castle ruins and a pleasant central square, and retains a strong sense of traditional Portugal. Meanwhile the modern side of Albufeira has the great nightlife, with a huge number of bars and clubs open until late for the party crowd. 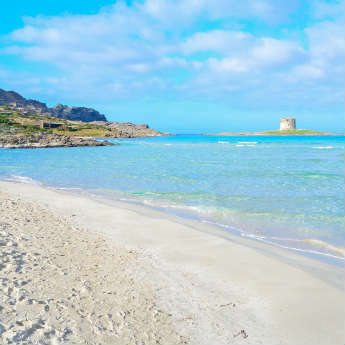 The old town is filled with authentic Portuguese restaurants, while the eateries around the beachfront lean more towards international cuisine and home comforts for British tourists. If you want to experience traditional Portugal while still enjoying tourist amenities and a great nightlife, Albufeira is for you! Vilamoura has an air of exclusivity; the stylish marina and upscale restaurants make it one of the most prestigious locations in Portugal. The resort has beautiful beaches, several perfectly-kept golf courses, and it’s not uncommon to see million-dollar yachts moored in the marina. Vilamoura attracts plenty of millionaires and celebrities, but also holidaymakers who just want to mingle with the rich and famous! Boat trips are a popular pastime for those who get jealous of the yachts in the harbour, or for a special occasion you can book a champagne cruise to celebrate in style! 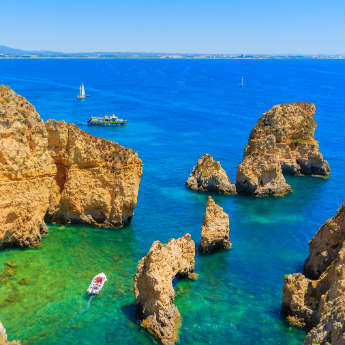 A quiet fishing village in its former life, Alvor has managed to transition into a holiday resort without losing its old world charm. People come for the relaxed atmosphere and slow-paced lifestyle, to unwind in a town that still feels typically Portuguese. 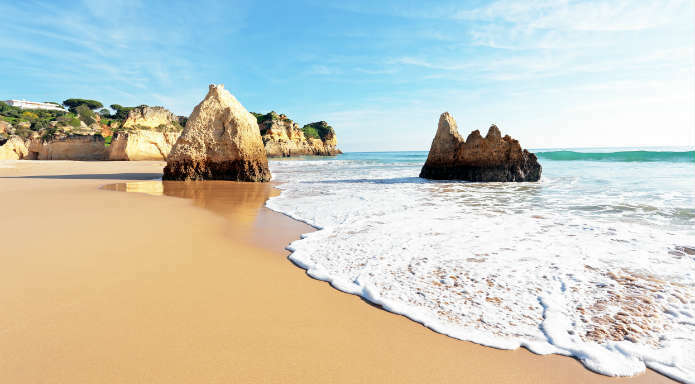 Alvor’s pretty beaches are one of its main draws, and visitors often gather by the lagoon to relax on the sand and watch people enjoying watersports. Although quiet and quite traditional, Alvor still has all the amenities you could ask for from your holiday resort, including a wide choice of all inclusive hotels and restaurants serving all kinds of cuisine.